Potassium chloride, alkaline dyes and pigments, dyestuff intermediates, compound fertilizers, formaldehyde acid, catalysts, sulfuric acid agents, amino acid, etc. AB, ABS latex, urea-formaldehyde resin, phenolic resin, dpolyethylene, PVC, etc. Cocoa powder, milk substitute, egg white or yolk, oats, chicken juice, coffee, instant tea, seasoning meat, protein, soybean, corn syrup, corn starch, glucose, pectin, maltose, potassium sorbate, etc. 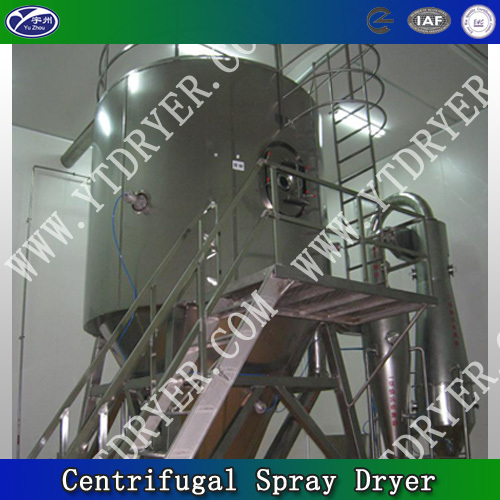 Our centrifugal spray drying machine, which can instantly evaporate 95%-98% moisture of materials, is perfect for drying thermosensitive materials. Typically, the drying time is 5 to 15 seconds. 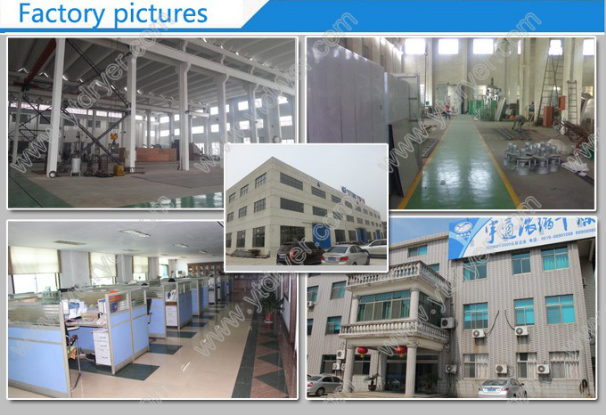 The dried products have the advantages of high purity, great fluidity and solubility. 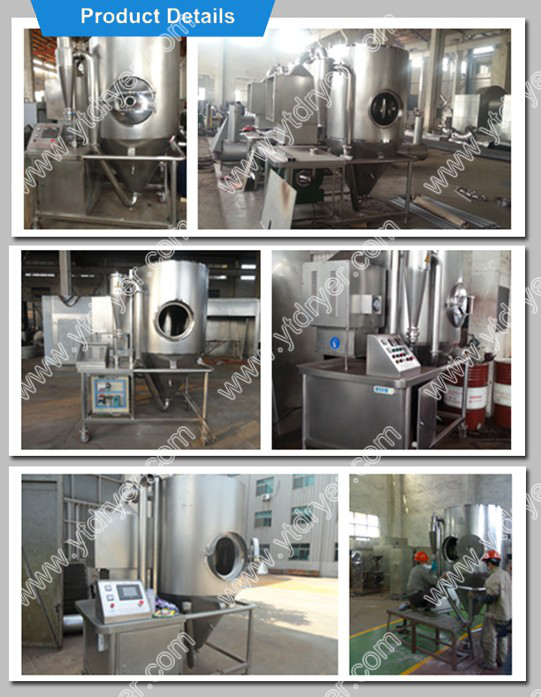 This spray drying machine is simple to operate and eliminates the need for grinding and screening after drying. 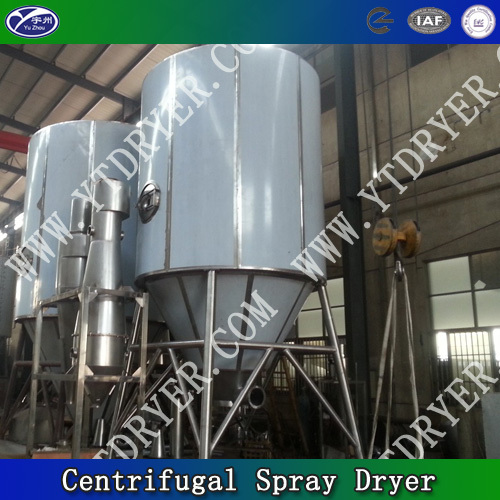 Looking for ideal Protein Spray Drier Manufacturer & supplier ? We have a wide selection at great prices to help you get creative. 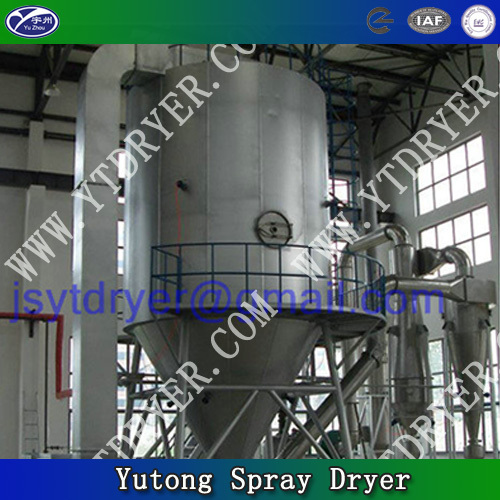 All the Spray Protein Dryer Machine are quality guaranteed. 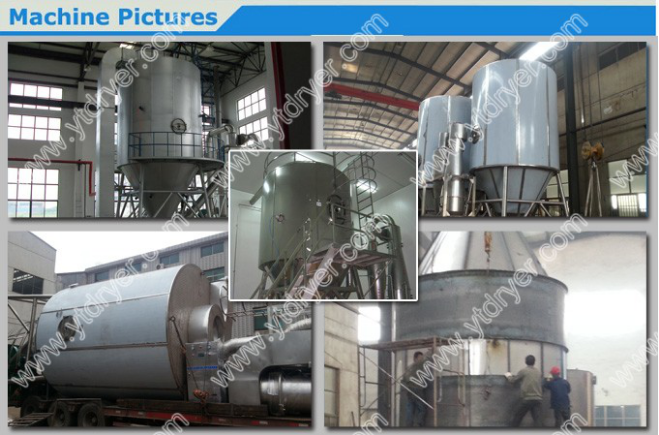 We are China Origin Factory of Spray Drying Machine for Protein. If you have any question, please feel free to contact us.